For once in his life, at least, Jeff Sessions has made the right decision. The breaking news set my phone off this afternoon as I was attending house chores, and my jaw literally dropped to the floor. I was prepared to research and investigate, but I find that our friend Gronda has done an excellent job with this story, and since I have absolutely promised Miss Goose that I would play a game with her tonight, I am sharing, con permiso, Gronda’s excellent and timely post. Thank You, Gronda!!! And now, please wish me luck in my battle against the little pro in a game of Mario Party! 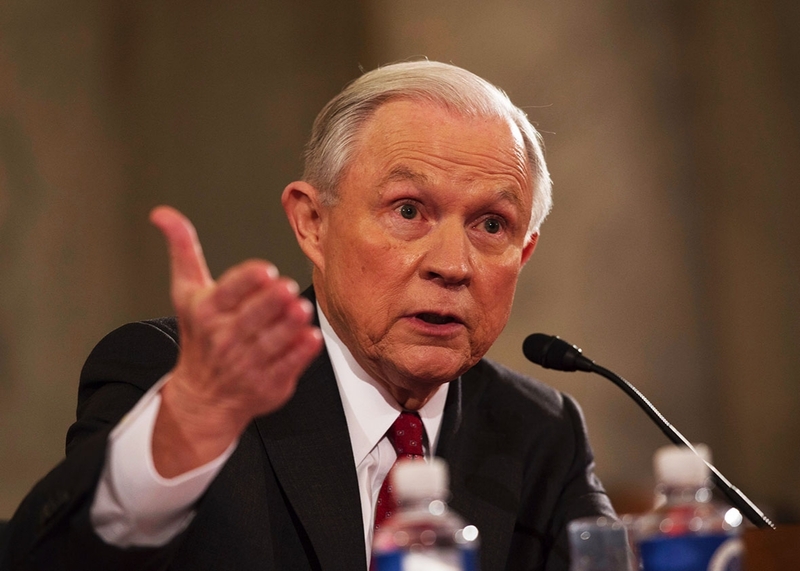 The republican President Donald Trump’s US Attorney General Jeff Sessions has formally declined a formal request by some US congressional republicans on the US Senate Judiciary Committee, to appoint a special counsel to work with the Inspector General in reviewing how the Justice Department and FBI handled specific matters related to the Trump-Russia investigation up to the appointment of Special Counsel Robert Mueller which would possibly end up including an analysis of past FBI’s handling of the Clinton email/ foundation probe and FISA warrants. This time the Attorney General Jeff Sessions declined to take this step. Here is the rest of the story.. This entry was tagged Chuck Grassley, Gronda Morin, Hillary Clinton, Jeff Sessions, John Huber, Lindsey Graham, Robert Mueller, special prosecutor, Thom Tillis, U.S. Department of Justice. Bookmark the permalink. As always, thanks for the reblog. I figured out what might be motivating him to do the right thing. It turns out that his actions regarding contact with Russians and his possible participation in the firing of Mr. Comey are under review by Mr. Mueller. He needs to be on his best behavior. Plus, after the firing of Andrew McCabe, he may want to back up his agents for once. As always, it is my pleasure to share your work, my friend. Yes, I had actually forgotten about his own Russian contacts and that being the reason he felt it appropriate to recuse himself, which almost cost him his job. He’s rather being squeezed from both sides now, isn’t he? That’s what happens when you act without values and integrity. I almost feel sorry for him, but then I remember that he is a racist and that he got himself into this mess. Thanks for the share Jill, I previously missed this one. Dignity and persistence. Formidable combinations. Super!! 🎉👍 Hopefully, there are no hidden pitfalls…. 😉 Hugs! That was my concern also, and I’m still not sure. Sessions’ job is very insecure … perhaps he sees the writing on the wall and figured he might as well try to do a bit of good before he leaves. Hugs!! !